NBC announced today that Days of our Lives has been renewed for a 52nd season. Negotiations between NBC and Sony TV have now been successfully completed, ensuring that the network's last-remaining soap opera will be staying on its afternoon schedule for at least another year. The veteran series began over half a century ago, premiering in 1965 as a half-hour drama and expanding to a full hour a decade later. The show and its cast and crew have won over 40 Daytime Emmy Awards, including 2015's win for Outstanding Daytime Drama. Last month saw the series air its 13,000th episode. Exclusive Interview with 'Days of Our Lives' Star, Blake Berris! Read ShareTV's exclusive interview with Days of Our Lives actor Blake Berris. View it in the news section here. He plays Nick Fallon on the daytime drama. Days of Our Lives is in very good health as it approaches its 50th birthday. NBC has renewed the veteran soap opera for an additional two years, through September 2016, meaning the good residents of Salem will most assuredly get to celebrate the soaps 50th anniversary come November 2015. In its 48-plus years, the show has racked up 232 Daytime Emmy nominations and 36 wins, including a 2013 statuette for Outstanding Daytime Drama. Days of Our Lives star Alison Sweeney made a major announcement on The Ellen DeGeneres Show Monday, She's leaving the soap opera after 21 years. Sweeney said the decision was not an easy one but the actress is not sure when her last episode will air, she insisted she'll be on the show throughout this year. 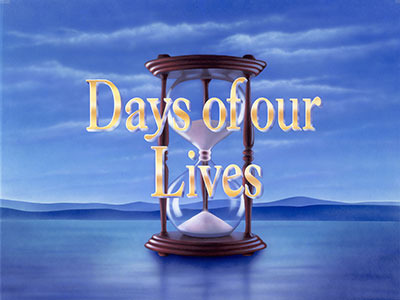 NBC announced that iconic daytime series Days of our Lives has been renewed through September 2014.